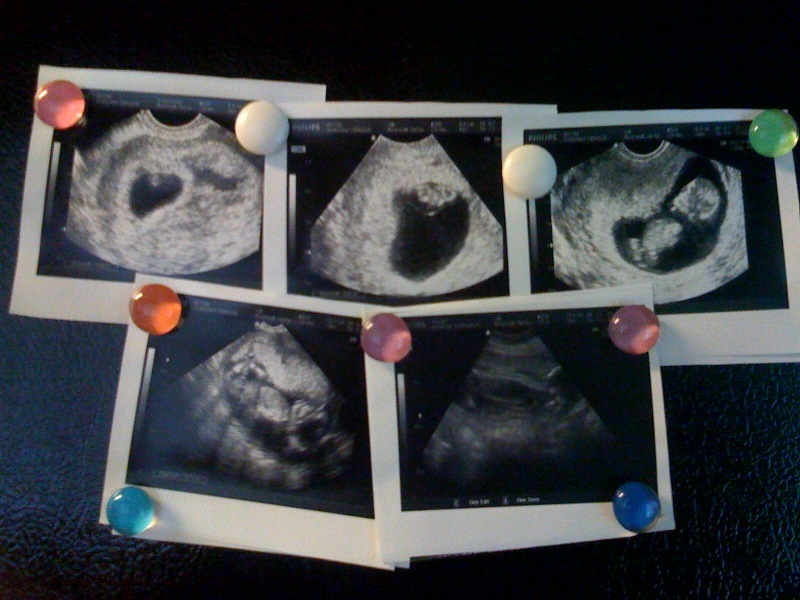 for those of you who don’t know, we are expecting another baby in february. i am 21 weeks along, which is a great place to be. 😉 emma is really excited… and ian and i are nervous about having to take care of two. 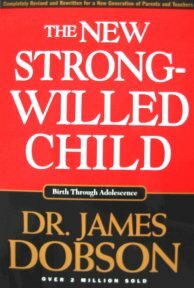 i just keep reminding myself that we are not the first couple in the world to ever take care of more than one child, so we will definitely be okay. even still, i am a little scared of the unknown. we didn’t find out the gender of our baby with emma, but this time we did. we already know. 😉 guesses, anyone??? we have a video of our little one, so i will try to post it in a few days and reveal the surprise! 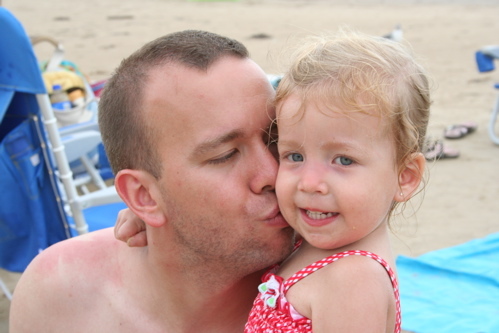 Author denissewarshakPosted on September 30, 2008 Categories the mom5 Comments on numero dos. 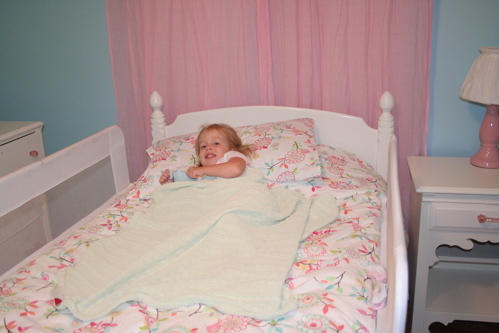 so last night was emma’s first night in her big girl bed…. a twin size bed in her new room. she was excited as can be, and here are the pictures to prove it. (i will post more pictures of the room when it is done.) we decided to get some rails to put on each side, and i thought centering them along the side would be a good idea. all was well for about 3 hours. then, we decided to check on her, and make sure she was still covered up and doing ok. we do this every night before we go to bed, so we didn’t think it was a big deal at all. i guess that we must have disrupted her sleep, because a little while later we heard a loud sound and ian went to see what it was. well, she had fallen out of her bed onto the hardwood floor. ouch! poor baby! you would think it would scare her, or at least wake her up, but luckily it didn’t. we picked her up and didn’t know what to do with her. should we put her back and try again? should we put her back in the old room in her crib? gosh, we didn’t know. and it was 1 am by then. thanks to us bugging her so much, we did finally “half wake” her. she was awake enough to cry… a lot… and enough to say ‘i want my blue room’ when we tried to take her to her old room. so i told ian that we needed to stick with the change and put her back. all kids must do this. all kids will fall out of their bed and eventually learn not to move around so much, right? well, we will see. 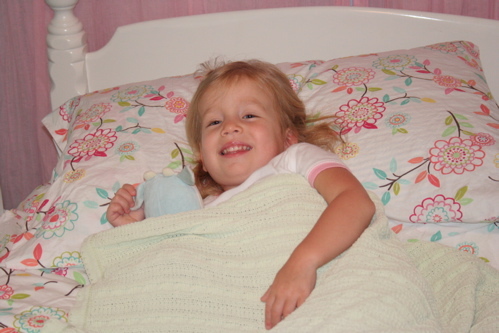 **and yes, that is her cow and blanket in her bed with her… i don’t think she will give those up until she is twelve!! Author denissewarshakPosted on September 25, 2008 Categories the mom1 Comment on oh what a night! after two and a half years, i think its time to give the site a new look. think of it as a new haircut and makeup! 😉 i’m going to try to categorize more, and i added some links to other blogs… hope thats ok with everyone. if i forgot yours, let me know and i can add it! 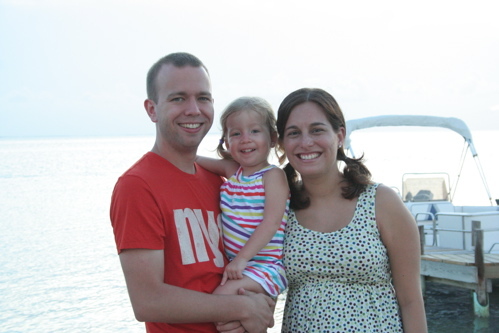 Author denissewarshakPosted on September 15, 2008 Categories the mom2 Comments on blog makeover. these are kinda random… enjoy! emma’s favorites at subway these days. i get these on the side with my sandwich, so she’s pretty cheap! emma + pooh = best friends forever!! playing in what will be her new big girl room. Author denissewarshakPosted on September 14, 2008 January 28, 2017 Categories photosLeave a comment on more photos. a recap of our summer. We took a little trip to Vegas, baby! Aunt Marlene and Uncle Josh live there, so we got to do some cool “not-on-the-strip” stuff. pics are taken with ian’s iphone. we had our camera, but that phone is just so convenient. Aunt Marlene and Uncle Josh had birthdays! August 5 and 9 respectively. Emma and I wrapped up a box cake mix and icing to mail to them. They had to bake their own cake! on the plane to vegas! hanging out with aunt marlene. emma’s first build a bear experience. it’s actually a bunny she named fluffy. mommy and daddy at the beatles LOVE show at the mirage. i love the beatles! we also went to south padre island a few weeks ago. 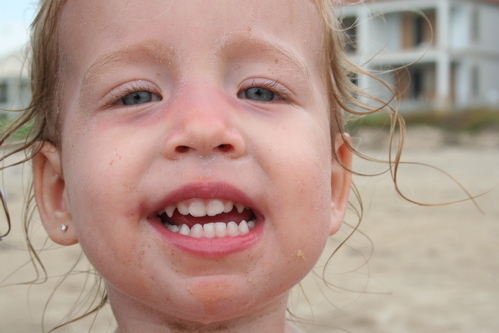 emma absolutely loved the beach! 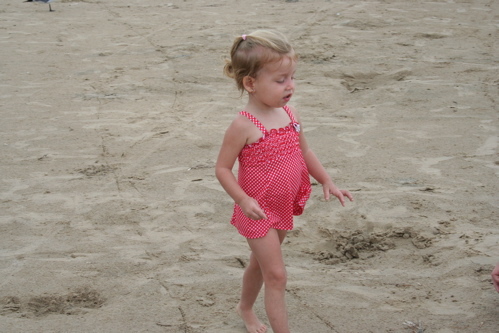 she played in the sand for hours!!! poor baby actually got a really bad sunburn. mommy didn’t use enough sunscreen! tita and tito came to see emma while we were there. Author denissewarshakPosted on September 12, 2008 January 28, 2017 Categories photos, the momLeave a comment on a recap of our summer. i thought this was a cool video. my favorite part is ice ice baby. i was in a talent show in 6th grade and danced to this. 😉 its so embarrassing to see it now! Author denissewarshakPosted on September 9, 2008 Categories the momLeave a comment on evolution of dance. 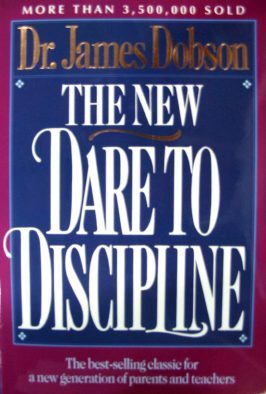 Author denissewarshakPosted on September 5, 2008 Categories Uncategorized1 Comment on Discipline…. not fun.